I have stories, reflections and memories about nearly all of the Spider-Man comic books in my collection, but in order to add proper context to these “Remembrance” posts, I think I need to write about one more “foundation” issue. 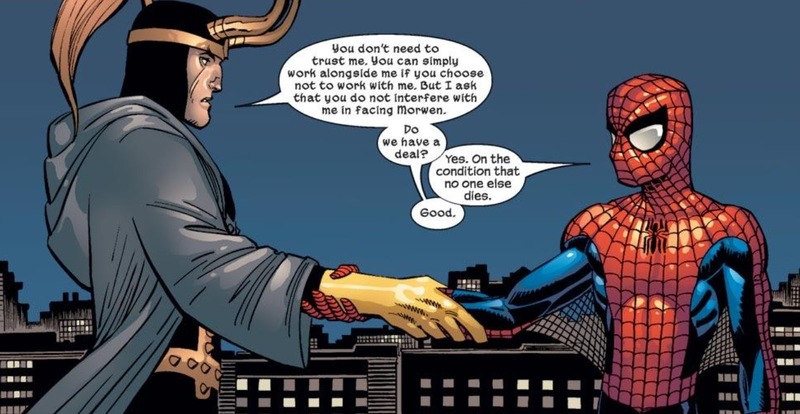 By “foundation” issue, I mean a comic that, for a very specific reason has come to represent a key component in my strategy to collect every issue of Amazing Spider-Man. You’ve already heard about my first issue ever, my first Silver Age issue, my first “first appearance” issue, ASM #300 which may be the comic which officially got me hooked on the medium, my big box of comics and of course, the first comic my wife purchased for me. I think among all of these posts, I’ve introduced most of the key characters who I consider to be the foundation of quest. Except one. ASM #503 may seem like a bizarre choice to lump in with such significant issues as the first Kingpin, or the introduction of the black suit, but the issue is a very important part of my collection. 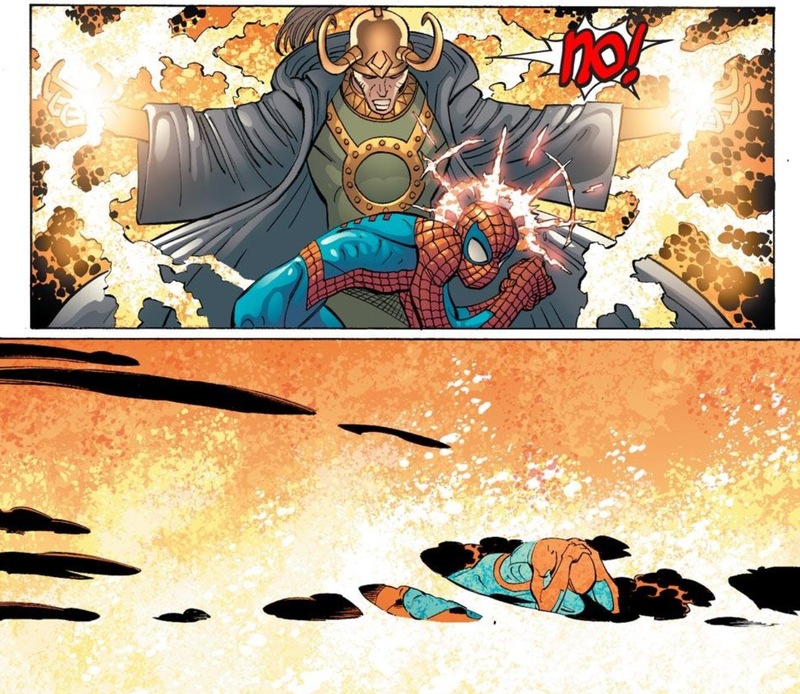 It has nothing to do with my attachment to the storyline itself, or even the writer, J. Michael Straczynski, who I credit with resurrecting the ASM series in the early 2000s. Instead, my attachment to ASM #503 is a very specific and myopic one – it’s the first issue of Amazing Spider-Man I received when I officially became a subscriber. And I’ve been a subscriber ever since. Since launching this site, I’ve had a few people react with surprise when I mentioned that I was a subscriber, though for me, this was a decision that probably kept me committed to my quest more than any other. When I eventually hit the day where I’ve collected the last of the 19 issues of ASM remaining on my list, I will be able to sleep peacefully knowing that as a subscriber, I am still receiving with regularity every new issue that Marvel keeps churning out. Because despite some of the people who poo-poo the current product and only collect and save the older stuff, I firmly believe you can’t have a complete run of ASM without every single issue of ASM. So yes, the new ones count. 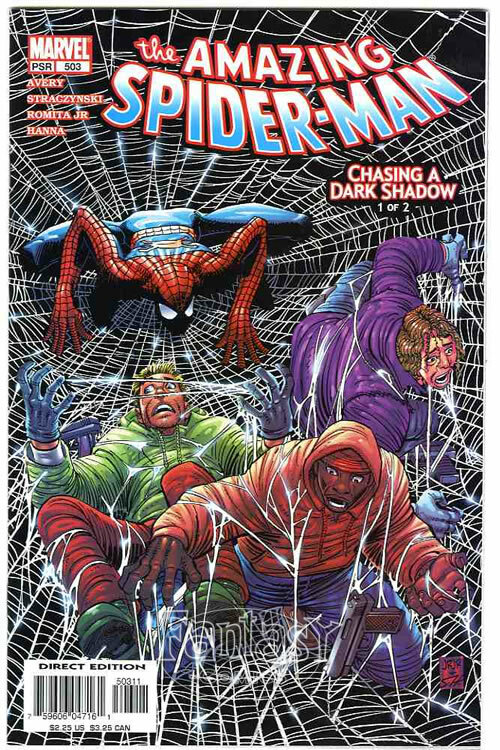 And while I understand that I can get the new issues of ASM at a local comic book shop, I decided to become a regular subscriber because I know myself and my short attention span all too well. When I was younger, I would buy each issue for four or five consecutive months at the comic book shop and then inevitably miss an issue or two in the cycle because I’d either be unable to get to the store (I was young. 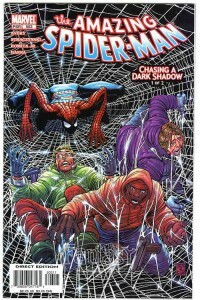 I couldn’t drive), or the storyline itself was uninteresting or downright infuriating (hello, Clone Saga). As I got older, due to time constraints brought on by work and the general timesuck that is adulthood, finding the time to always pick up the newest ASMs was even harder. If all of the above sounds like a bunch of petty excuses, you’re right. That’s the point. I know myself too well. If I was going to actually collect all of these ASM comics and stick with it for years to come, I was going to have to do something that would essentially force me into maintaining my collection. A subscription does that. You sign up and the collection comes to you – no excuses. When it’s time to renew, no worries, Marvel sends plenty of reminders. When ASM went to a three-a-month publishing schedule, I was able to upgrade my subscription and get 36-issues for the year, rather than the usual 12. Looking back, there’s no way I could have made it to a comic book store three times a month without a subscription. I would have had a bad month, missed three issues, and my collection would have stalled somewhere in the 570s. There have been other advantages to the subscription decision. It’s kept me dedicated as a collector through good times and bad. Obviously, in the seven years I’ve been a subscriber, there have been some real clunker issues, or even some real clunker storylines. In the past, a run of really awful or aggravating issues would have caused my interest to wane and I would have stopped buying for a few months. But looking at ASM over the course of the more than 20 years I’ve been a collector, the series has overall brought me happiness, which outweighs the frustrating arcs. Yes, Brand New Day was just a terrible, terrible decision by Marvel, but the Kraven’s First Hunt and New Ways to Die storylines that followed were pretty good and worth sticking around for. Having the subscription forced me to stay loyal. And I’ve found that hanging in there has rewarded me more often than not. But more importantly, my ASM subscription has also provided me with incentive to keep my collection marching onward – in both directions. Getting that cardboard-backed mailing bag from Marvel two-to-three times a month is a regular reminder to the quest I have laid out in front of me. There is something oddly satisfying about reading through the newest issue of ASM, and then preserving it for future generations with a bag and board. I treat issue #661 the same way I treat issue #8: with the utmost care, but through the lens of a fan. I’m not a collector because I want to make money off these comics some day. I’m a collector because I love and have loyalty for the product. Regular delivery of these new issues keeps me engaged. It keeps me focused. It also saves me a trip to the comic book shop. What’s not to love about a subscription? What a coincidence! I started my subscription to Amazing Spider-Man at almost the same time. My first issue was #505 — a rather so-so issue in retrospect, but I liked it quite a bit at the time. I had taken about a year off from comics, so it was just what my comic-starved brain needed when I picked it up at the comic shop. I picked up the “Book of Ezekiel” storyline that followed at the store, and then my mail subscription started with the first issue of “Sins Past,” #509. I’ve gotten almost every issue since then — there were a couple times that I procrastinated too long and forgot to renew before I missed an issue. I think I got all the ones I missed though, except for one featuring the Black Cat on the cover that I know I don’t have. Last I checked it was going for a little more money than I wanted to pay, but perhaps that’s come down now. 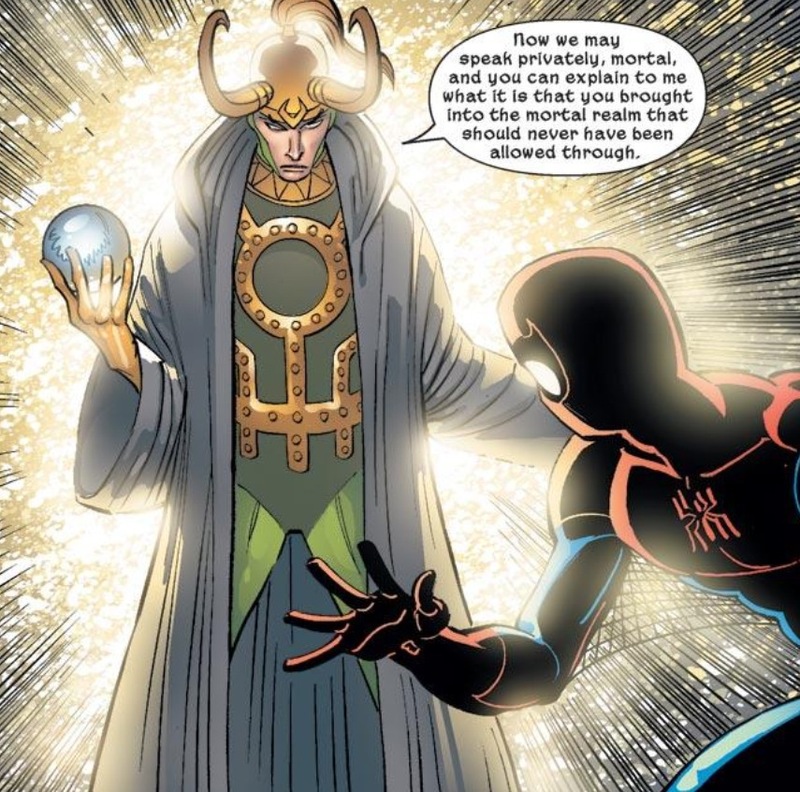 Sin’s Past was an interesting arc to say the least – going back, I really loved JMS’s work on the title, but Sin’s Past def. gave me some pause as I had just started getting issues again and they immediately throw a pretty bizarre storyline out there. Question…has the subscription service improved since I stopped mine in the mid-90? Every once in a while I would receive a trashed copy and that soured me to subscriptions. Interesting timing of your questions. Last year, Midtown Comics took over the subscription account and things got a “little” better, but there are still too many delays and inconsistencies/issues gone missing that when my subscriptions end this year, I think I’m finally going to resume the weekly LCS model and hope I can maybe do a pull list for the 4-5 titles I read every month (a lot of places will only do that if you read a LOT of books).